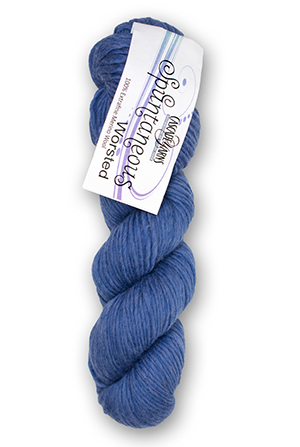 Spuntaneous Worsted is a worsted weight version of Spuntaneous. This single-plied yarn has the same buttery-soft feel that we have grown to love. Made with 100% extra fine merino wool, it's design and texture will have you thinking comfort and favorite in a twisted hank. Spuntaneous Worsted lends itself to statement accessories like oversized cowls, hats and capelets.